Filler maps. It’s a common problem when content tools are released to the public. 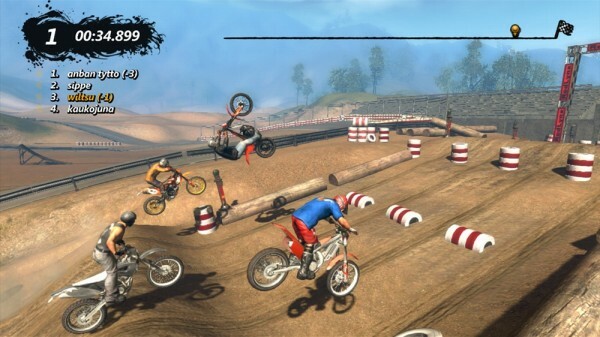 Trials Evolution is no exception. For every amazing, good, or even decent tracks there are hundreds that you have to sort through. So how do you get yours to rise to the top? How do you make yours a track that doesn’t fall under the filler category? I have to sort through these tracks every day looking for the best of the best, and I’ve got years of video game modding experience under my belt in games ranging from open-source racing to Star Wars titles. While I’ll leave the specifics on Trials Evo track creation to the experts I still want to share five tips that will help you become a better editor. Who knows? You might be come a RedLynx Pick, or even a top download for the week. RedLynx didn’t put out 39 tutorials (and growing) for their health. They did it so that players could unleash the power of the game. Watch them. They’ve even put them together in a nice YouTube playlist that goes through each one in succession. I’ve watched each and every one, and while I don’t have any tracks I want to publicly show off (yet), I can say with confidence that they explain things clearly and concisely. While you’re at it hit up the RedLynx forums. They’ve got a section dedicated to the track editor, and and extremely friendly and helpful community. Many members have been around for years, having created tracks in Trials HD and will help you get the best out of your creations. They’re even using Google Docs to create flowchart code examples. Unsure of how to make something work? The Google Docs can show you literally what to place and how to connect it all. And on a note of originality, can we please stop making Hill Climb and Basketball clones? They were (kind of) cool at first, but now there’s a flood of them. If that’s not possible then at least come up with better scenarios for each variation on the same old thing. 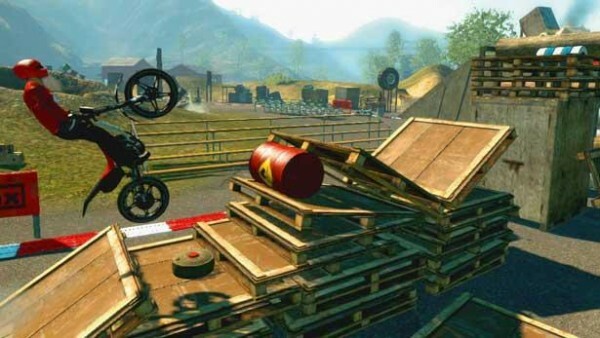 For example, if you’re gonna do a hill climb, why not do it Trials HD-old-school and do it in a warehouse? Rest assured that if your creation has been done before and you don’t bring something new to the table you won’t get your moment in the sun. If you actually are lucky enough to get to the top, say goodbye to your top position when the next clone comes out. Let’s tackle first things first, the requirements. Name your track something interesting. “Test Track” and “OMFQMyTrackIsAw3sUm3!!!!!!1!!!!!111!! !” Don’t count. If you can’t come up with something interesting, these are not okay ideas to fall back on. A Skill Game is not a Trials track, and vice versa. If I’m playing a Skill Game that simply has me riding through a course as quickly as I can with as few faults as possible, that’s called a Trials track. Medals — spread em’ out. When I see a skill game that I can get platinum on just by finishing I immediately delete it. Skill level — All you Expert and Ninja riders out there, please rate your tracks how RedLynx would rate them, and not based on your faultless skills. It’s frustrating to download a Medium track only to find that it’s infinitely harder than a RedLynx track. There’s a simple formula to follow. Know what each of the license tests consist of, such as the Bunny Hop. If your track requires one of these things, that’s what it should be rated. If it requires something from a more difficult license test, change your rating. Make an obvious finish — Ugh, I hate the artificially boosted Skill Games. You know the ones. They’re something like “Car Test beta” and it’s got 20+ four star ratings. The creator told only their friends how to complete the track, and only if they would rate it four stars. Don’t be a jerk. If you’re creating a public test, allow us to complete it, either by crossing a finish line or by pressing a button that triggers the end. Now that we’ve got that out of the way, let’s talk track details. I mentioned Z-fighting before. It’s ugly, and sometimes it can’t be helped. But when it’s used excessively you ruin any chance of having a popular track. If you can’t do something without overlapping and causing Z-fighting, modify your plans. Sometimes you can hide it by placing another object over it, sometimes you just need to change how that section plays out. Other details are just as important. If you’re going for a ‘grounded’ track, be sure that your ramps have supporting structures underneath them. I’ve yet to see technology that allows wood to float. If you’re going for abstract, create a set of rules for your world, then don’t break them. Abstract tracks are fun, but the truly great ones are consistent and just as easy to ride as any grounded track. Don’t, under any circumstances, ever release some random test track. You’ve got friends, have them try your track online or locally in your living room. They’ll often be your best source of feedback and ideas. Also, have an idea track. This is something you never release, it’s just a sandbox for testing ideas. If the ideas work they can go into a track you want to release. I’ve done this for years and not only does it help with producing better content, it keeps potentially disastrous mistakes from appearing in something you’ve been working hard on. Trials Evolution has an added bonus in having an idea track. Anything you deem to be “release worthy” can be saved into your favorites: ramps, physics objects, even code. It’s a great place to create things you can use over and over. So you’ve perfected your track. Now what? Quite simply you’ll need to promote it to put it head and shoulders above the sea of other creations. There are several ways to do this, we recommend you use them all. For clarity’s sake we’ll use a list. YouTube — It’s where we find a lot of tracks we didn’t know about, and many of the video creators have a decent subscriber base. Some video creators will ride your track for you if they deem it worthy, others will also add a review. Many record in HD. If you can’t get help there then bust out your iPhone and record your TV. Even a poor quality recording is better than none at all. RedLynx’s forums — they’ve got a section dedicated to releases. Make one topic for all your releases, then provide as much info as possible. If you have video embed it in your post. If not take some pics with your phone and upload them. Let the community see what you’ve made in order to drum up interest. Tweet it — if you’re not following RedLynx by now you should be. Send them a tweet about your track. 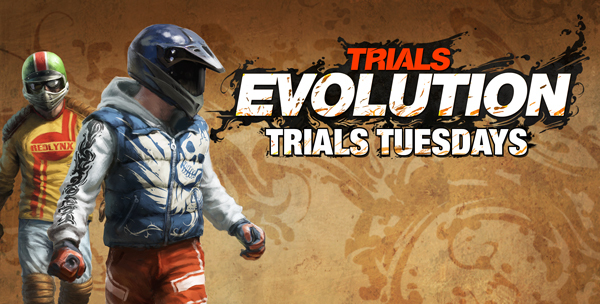 Participate in #TrialsTuesday, where fans tweet their favorite creations. Tweet your tracks to us, too (@XBLAFans). Suggest it in our Trials Tuesday posts — We do our best to get one of these out every week. Sometimes our schedule doesn’t allow it, but we’re always looking for suggestions on tracks to feature. Don’t have a YouTube video of it? Just add the gamertag and track name to the comments and I’ll give it a spin. If it’s good enough we’ll have our very own Shawn Saris record a playthrough in HD for you. In the end great custom tracks, like all community content for games, are all about the love that’s put into them. Those who can’t be bothered to put the most basic of detail in aren’t worth anyone’s time. Those that have an edge of creativity spark interest, and that interest sparks free word of mouth advertising. If you’re itching to make great tracks, or even just to improve your skills, put some time and love into your creations. In the meantime I’ll be watching Track Central.